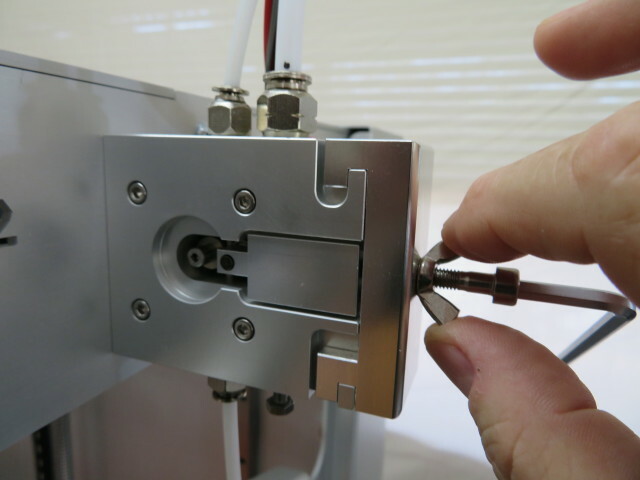 The simple but very reliable bowden filament drive can easily be maintained with its parts removed. 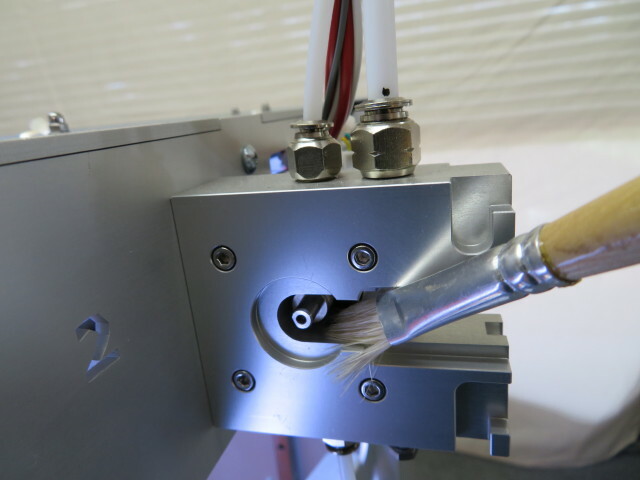 Use a stiff bristle brush to remove filament residues. 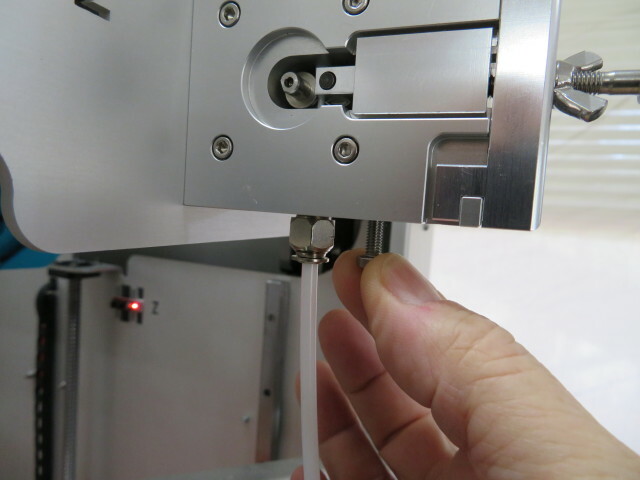 Bowden filament drive ready for new filanet (1.75mm). 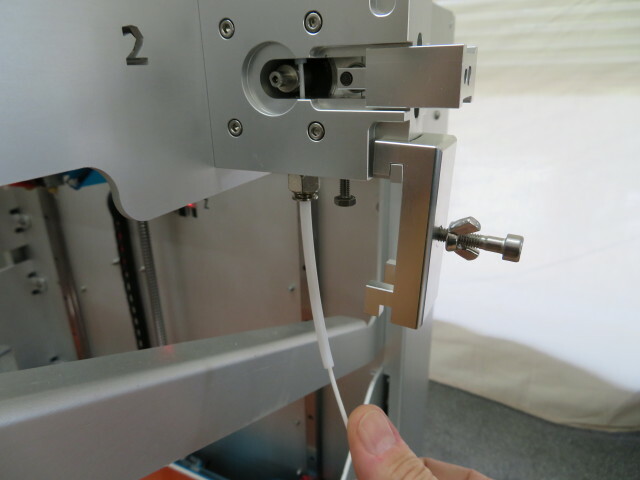 Insert the new filament into the 4x2mm PTFE tube. 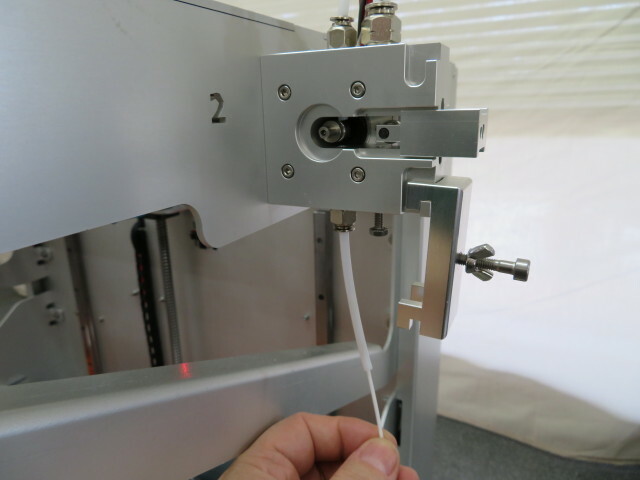 Carefullt center and push the filament into the exit 4x2mm PTFE tube. 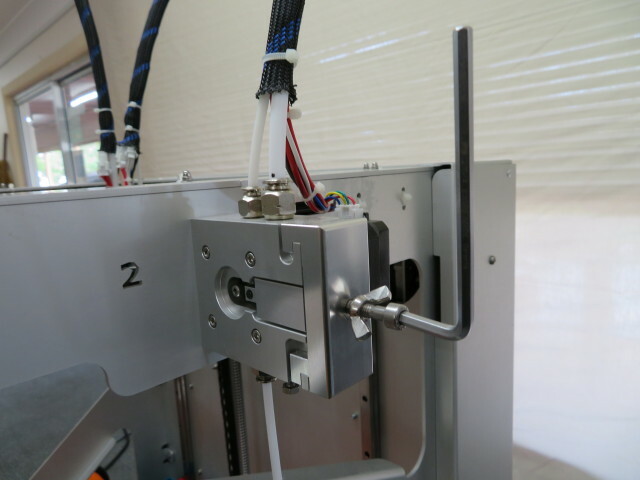 Push the filament through the 4x2mm PTFE until the filament shines through the PTFE tube at the Extruder end. 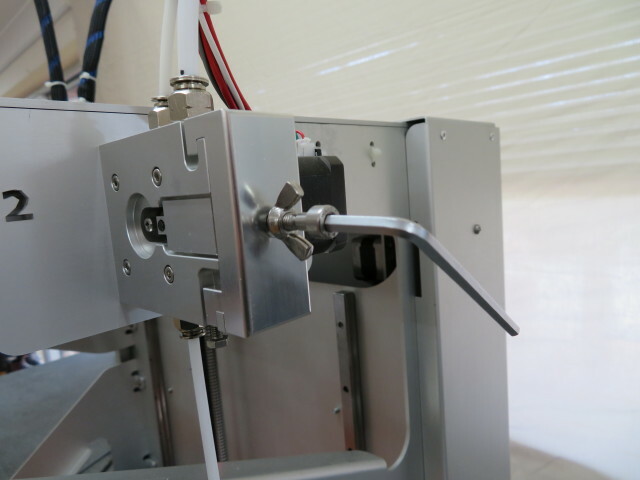 Slide In the filament press block. 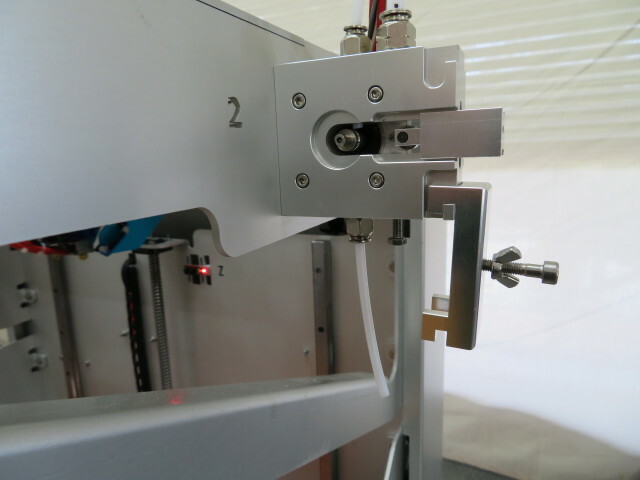 Filament press block in position. 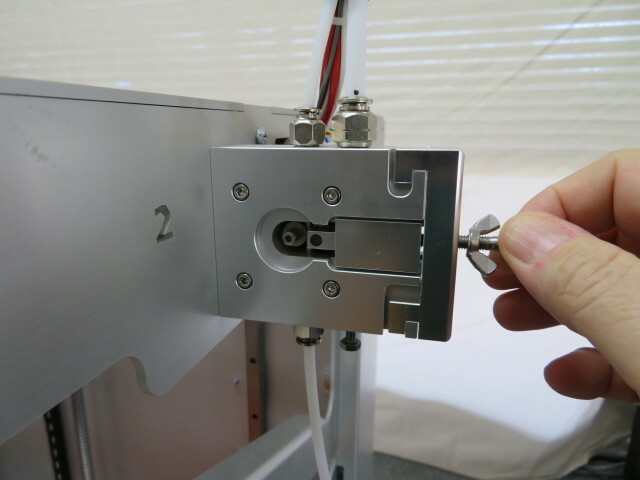 Manually turn the M5x30mm socket cap screw until you feel resistence. 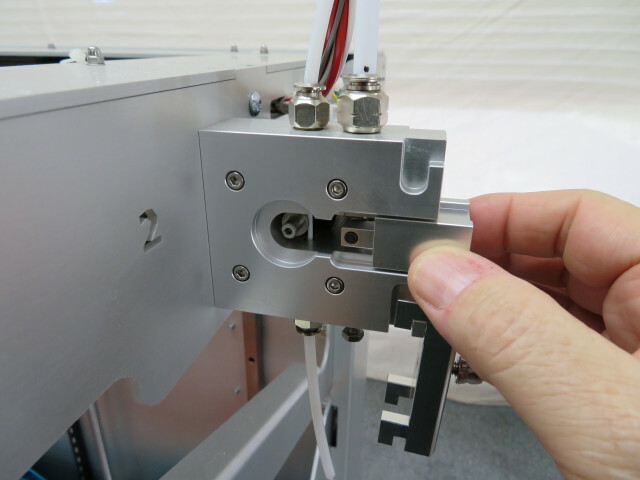 Use a 4mm alan-key to turn the M5x30mm socket cap screw and engage the filament drive wheel. 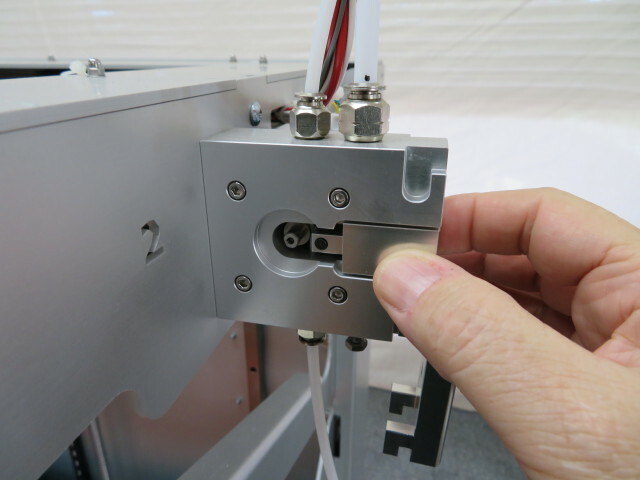 Rotate the 4mm alan-key ~1/3 turn (~100°). 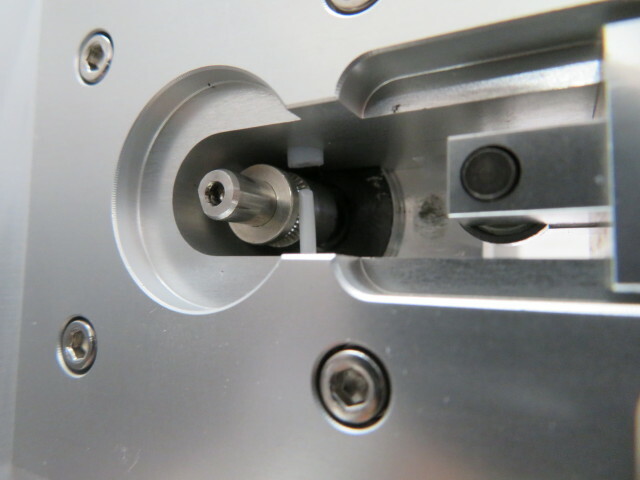 (1 turn of the M5 screw = 0.8mm advance). 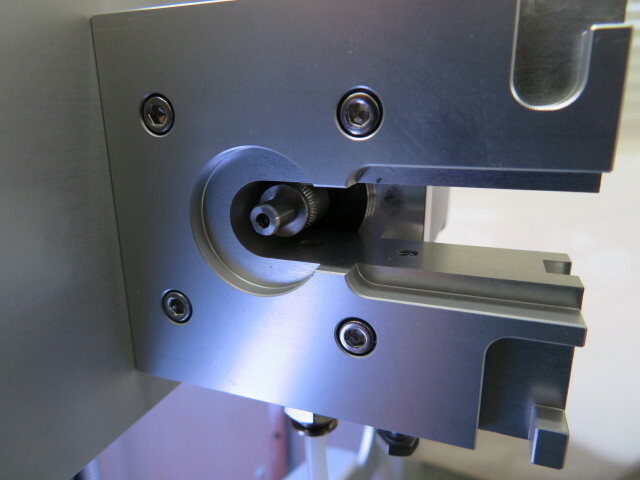 Secure the M5x30 socket cap screw with the wing nut. 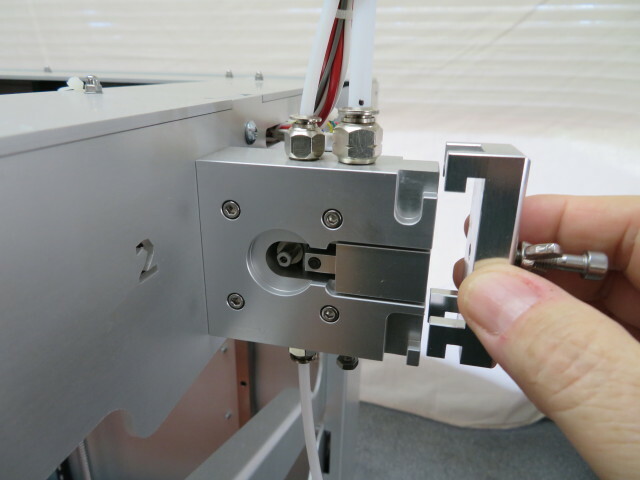 Finger tighten the M4 hex head shatter lock screw. 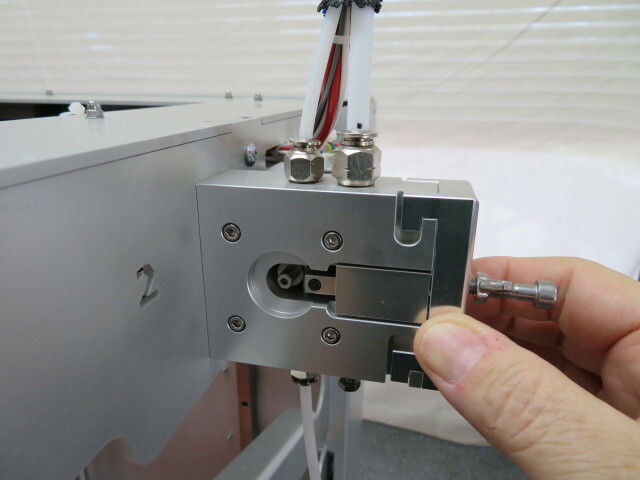 Prevents the press block clicking up and down when filament is retracted. 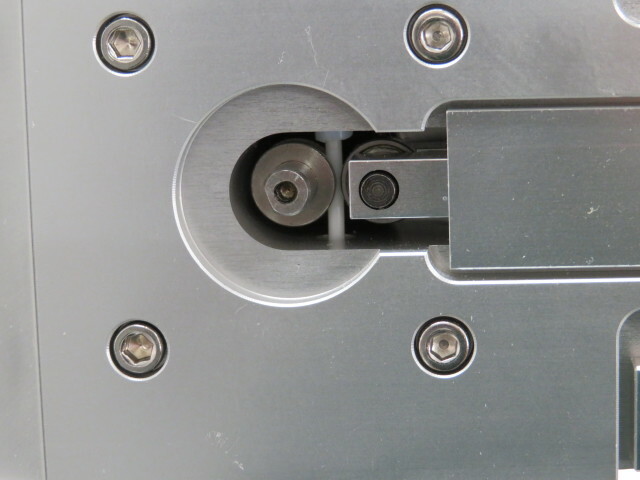 Close view of filament press block squeezing the filament towards the filament drive wheel. © 2016 Telion. All Rights Reserved.